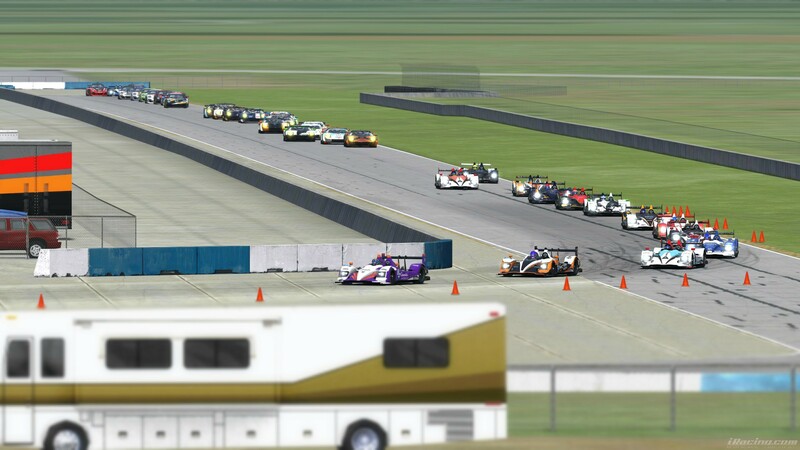 After many months of preparations the NEO Endurance Series (NES) finally kicked off last Sunday at Sebring International Raceway for a 6 hours race. The NES is a multi class endurance series with three classes: Prototype (P), Grand Touring (GT) and Grand Touring Challenge (GTC). In the GTC class all teams need to have at least one AM driver in their line-up. Over 183 drivers, divided over 43 teams, are registered for this series. The start of the race was very clean. After an extra pace lap all cars managed to get through the opening laps without any incidents. It was Coanda Simsport leading the field in the early stages of the race, with nr. 15 Friction Racing, Radicals Online and Apex Racing UK not far from the leader. In lap 31 Marcus Hamilton of Friction Racing nr. 15 passed Jörn Jens for the overall lead. There was a scary moment for the top three leaders in turn 3, when two GTC cars made contact right in front of them. The nr. 80 KRT GT Motorsport had wheel spin coming out of three and hit the unfortunate Apex Racing UK GTC car of Tim Mawson. The blue and white GTC car flipped on his roof and rolled a couple of times. Surprisingly no other cars hit the rolling Apex Racing UK car. Radicals Online took over the lead after a spin from Coanda Simsport and they never lost the lead ever since. Wyatt Gooden and Paul Ilbrink only improved their lead throughout the rest of the race and took the checkered flag after 6 hours of racing. 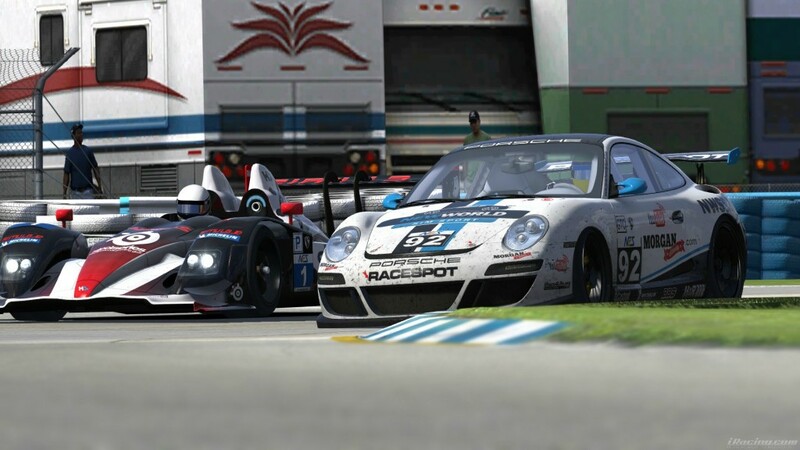 Behind Radicals Online it was Coanda Simsport who finished second although they had a very tense couple of final laps. In lap 180 the nr. 11 spun coming out of turn 16 and went straight in to the wall. Luckily for them, the gap to the third place car was big enough to finish second. Apex Racing UK finished third. Twisted Apex Racing nr. 23 managed to finish 4th, after some troubles early in the race. The nr. 8 of Gathering of Tweakers 1 was a great example showing pure speed is not needed to finish in the top five. Because GoT 1 stayed out of trouble, consistency and a change of strategy at the end of the race, earned them a 5th place finish. One second behind GoT1, Team Chimera nr. 24 finished 6th. They also ran a trouble free race without any incident. This team also won the CleanX Challenge, because they had zero incident points at the end of the race. Very impressive. KRT Motorsport finished 7th. Racing Lions finished 8th after eventful first part of the race with some contact, a spin and some problems in pit lane during the first stop. In 9th it is Team 7 IB-ClasseWeb. This car had a lot of troubles through out the race, but they never gave up and managed to finish within the top ten. The final car in the top ten of the prototype class is Kroenert Motorsport. They had an abrupt ending to their race in lap while running at the front. Because they completed more than 70% of the race distance, they are still classified. 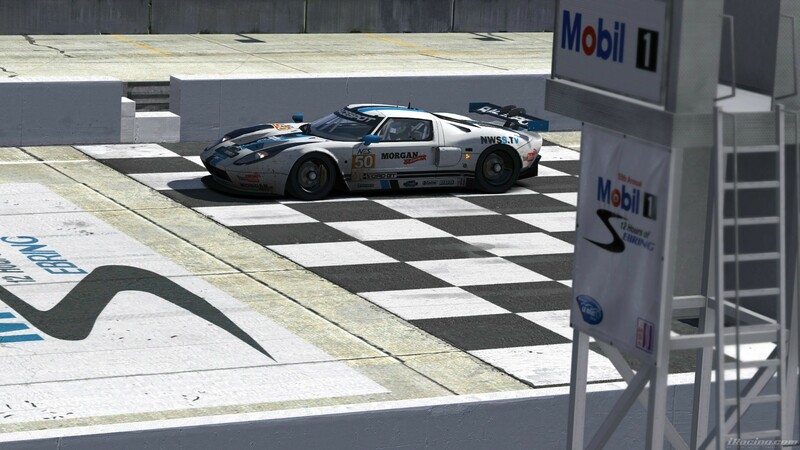 In GT class it was New World Sim Sport who took the checkered flag after a hard fought battle with Glacier Racing. Race control found out Glacier Racing driver Riku Alatalo exceeded the maximum driving time, so Glacier Racing was excluded from the results. This means all teams behind New World Sim Sport moved up one position after the race. Apex Racing UK finished second despite contact with an other car halfway through the race, but managed to get the damage fixed and continue. Fenix Motorsports 64 managed to finished 3rd. In 4th place it was iRacingDenmark Assault Racing who led the class early in the race, but had couple of troubles throughout the race. 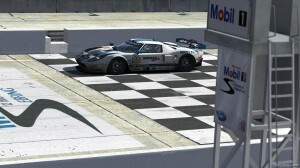 simrc.de finished the top 5 of the GT class. These guys had a pretty anonymous race staying under the radar, but that is not a bad thing in endurance racing. Gathering of Tweakers 2, Torque Freak Racing, Radical Racing UK, Friction Racing and Lazyman Racing are the other teams in the top 10 of the GT Class. 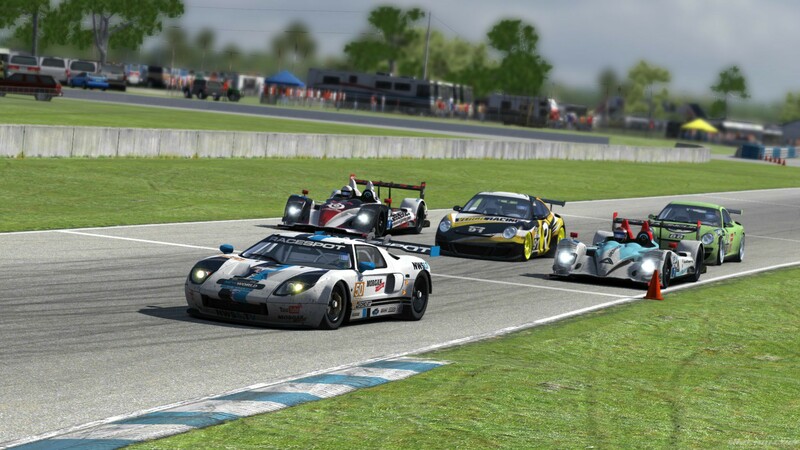 Friction Racing and Lazyman Racing both gained a position because of a post race penalty for Asbury Motorsports for avoidable contact in final stage of the race. Vergil Racing dominated the race in GTC class and led the class almost from start to finish. The Dart Frogs who finished 2nd had a flawless race, but just did not had the pure speed to catch Vergil Racing. SRN Motorsports finished 3rd after a battle with the nr. 88 car. Throughout the race these two teams switched positions many time, but in the end it was SRN Motorsports who had to settle with the final step of the podium. In 4th place it was Virus who had an anonymous race. This team was very consistent and managed to stay out of trouble. KRT GT Motorsport finished 5th. In the early part of the race they had the tense moment described at the beginning of this article. Torque Freak Racing nr. 81 took the 6th position. 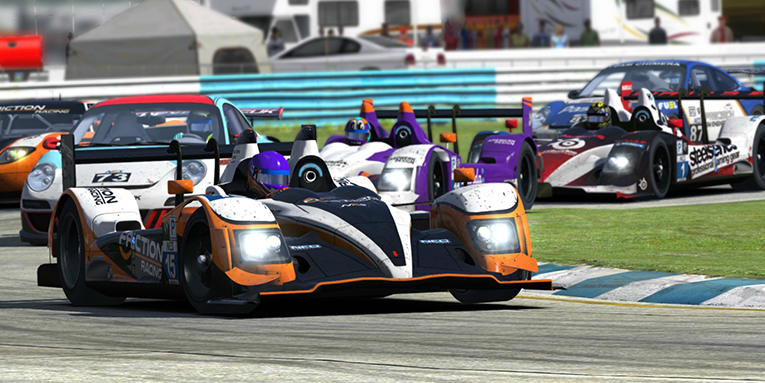 IRDK Endurance had a very eventful race at Sebring, but still managed to finish in 7th position with good pace despite incidents. Team Chimera finished 8th, after a stop and hold penalty for avoidable contact. 9th and 10th it is Slipstream Racing and New World Sim Sport, finishing up the top 10 for the GTC class. The next race of the NEO Endurance Series is on December 21st at Circuit of the Americas. The race of six hours begins at 14:00 GMT live on Racespot TV.